Hay! Well, it's Heymountain, isn't it? 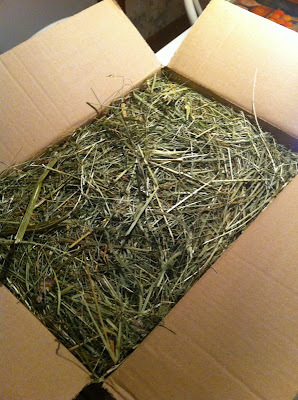 My package was quite heavy, and when I opened it, at first I saw nothing but hay. And hay. And more hay. 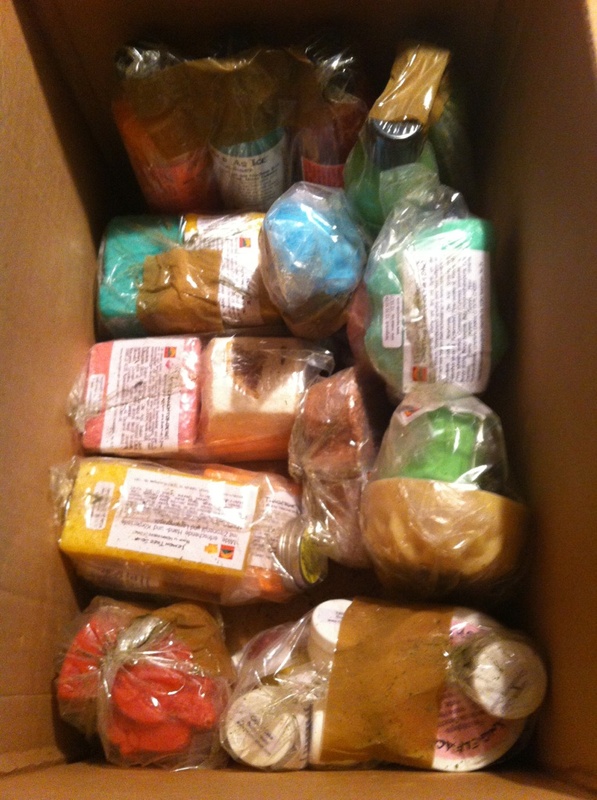 Digging through the hay (and making a mess all over the kitchen table and floor), I found all of the products I ordered and quite a few "Goodies" (samples and full size extras). ﻿﻿﻿I crossed off everything on the packing slip to make sure I hadn't missed anything in the hay - turns out I may have done so after all... One of the samples I asked for which the people at Heymountain crossed off on the packing slip and which I assumed to be amongst the others samples in the sample bag (see in the picture down right - yes, those are all samples!) is nowhere to be found... Having already put the hay into the organic waste bin I will have to dig through that tonight, as Rainer at Heymountain told me in an e-mail this morning that most of the time they put all samples into the same bag, but sometimes a stray sample can be put in the box separately. I know, it's only a sample, but it's one I intended for my hubby and I wanted to put it into his advent calendar, hence the digging through the hay in the bin tonight. I will let you know how that goes :-) Also, I will tell you the details on the package contents once I have unpacked the individual products!